IDentia offers easy and flexible software licenses (including evaluation license) with different levels of service agreement to meet your enterprise needs. All licenses are offered on a subscription basis. Please contact sales@identiainc.com for more details. All IDentia products are deployable and executable on Amazon Web Service (AWS) or any other cloud services. There is no special license made explicitly for AWS or any other cloud environment. Customers who acquired a software license for an IDentia product with a specific service level agreement are eligible to operate that product in a cloud environment, as long as the service agreement is satisfied. This bring your own license (BYOL) option enables customers to deploy or transfer a product license to an instance running on AWS. Some IDentia products are also offered on AWS Marketplace. A 30-day trial license is initially offered for products running on AWS. After the 30-day trial period, the customer can acquire a regular product license from IDentia, upload it to the product instance on AWS, and replace the trial license. 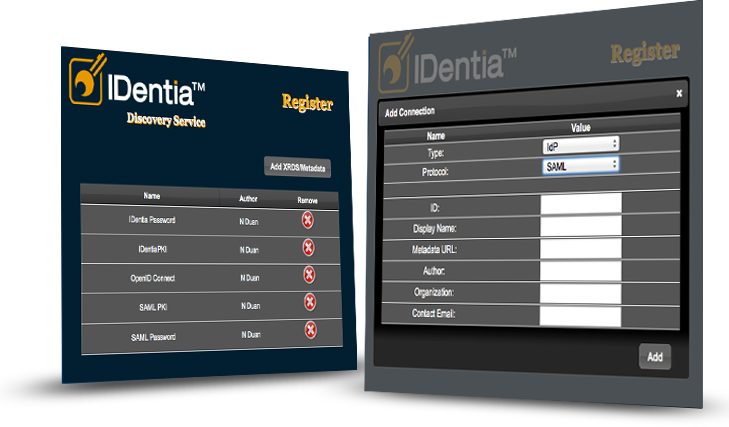 Please contact sales@identiainc.com for more details.